Australia’s former Second Lady is preparing to compete in her first bodybuilding competition – after rebuilding her body and life. These days Natalie Joyce can't wipe the smile off her face. After weathering the worst two years of her life, Barnaby Joyce's ex-wife has transformed herself into one of the fittest women in Australia through sheer grit and determination. 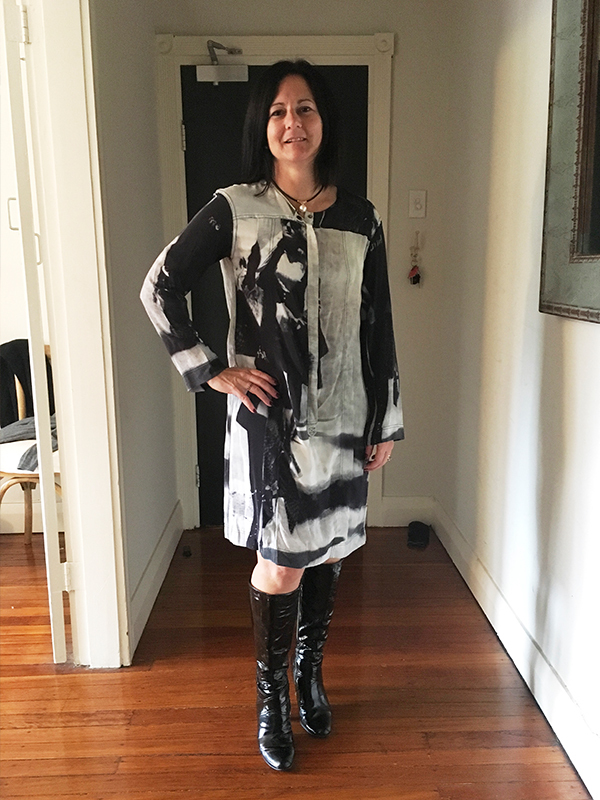 The remarkable transformation has seen Natalie, 49, shed 15kg in less than 12 months, thanks to a balanced eating and exercise program. And it has helped her fulfil a dream – to become a bodybuilder and compete in her first competition. Local NewsWho are Barnaby Joyce's daughters and ex-wife, Natalie Joyce? "I quite literally had an epiphany – I decided this was not going to break me, but bethe making of me. At the time, as the collapse of our marriage played out so publicly, I won't lie – I was not in a good place," Natalie tells Woman's Day. "I knew I had to keep it together for the girls, and I had two choices: either unravel, or shake myself off and aim to get the best out of myself, so I could be the best for them." Natalie's "ah-ha" moment came after the breakdown of her 24-year marriage to the former Deputy Prime Minister Barnaby Joyce, who left her for his mistress and former staffer, Vikki Campion. "I turn 50 this year, and have a second chance for a glorious life with new beginnings," she says. "In June last year I looked in the mirror and thought I'm not going to let someone else's appalling behaviour derail me, so I joined the local gym, and I've never looked back. And I've always wanted to compete in a bodybuilding comp. Some people might think I'm crazy!" While she has lost 15kg, Natalie wants it made very clear this was not some crazy crash diet, but rather, a well-planned program designed to improve her fitness and strength. "I'm only 160cm and I tipped the scales at 70kg – and today I'm just shy of 55kg. I had thickened out, [which was] likely related to being pre-menopausal – I just looked squishy! I cut out sugar, bad fats and unfriendly carbs, and replaced them with healthy choices," she explains. Catching up with Natalie at her local gym, she's adamant there will be no commenting about the impending birth of a second son to her ex-husband and his 34-year-old former staffer, saying only "he's a man I no longer know." She happily admits that the four daughters – Bridgette, 22, Julia, 20, Caroline, 19, and Odette, 16 – she shares with Barnaby became her secret weapon in getting to where she is today, and remain her biggest supporters. "They thought I'd gone mad when I told them I would be strutting my stuff wearing nothing more than a skimpy bikini, flexing my muscles for all to see!" laughs Natalie, who looks years younger than her former self. "But they're very proud of me – watching as I rediscovered my confidence and enjoying how empowered I've become – and I do like my girls thinking their mum has a smoking hot body!" Natalie says once her big competition is over, she will take the chance to enjoy more cheat meals. "You will never take the rural out of this girl – and nothing beats our local pub in Tamworth for a steak with mushroom sauce and a big plate of hot chips!" The inspiring mum works full-time in education, and despite fielding a number of lucrative offers to enter politics, remains firm that she's not going anywhere near the bubbling cesspool of Canberra. "I don't need that in my life – there's so much to look forward to, and I'm not wasting a single day!" Swipe across to see Natalie's incredible before and after pics! The woman who broke up Natalie's marriage is now living with Barnaby and pregnant with their second child. Vikki Campion, who started an affair with Barnaby while she was employed as his media adviser, is due to give birth in June to another baby boy – a brother to Sebastian, who was born in April last year.